Are you in the process of trying to sell a Victorian terraced house or keen to make an investment towards your properties future? From extending, changing the layout of the bathroom and open plan living to the restoration of original features and making external alterations, co-presenter of Homes Under the Hammer, Lucy Alexander, talks you through our top tips for adding value to your Victorian terrace. You never have a second chance to make a first impression, and while improving the interior of your home may seem the most logical option for increasing its value, prospective buyers will make a judgement before they even reach the front door. Transforming your home's exterior can mean anything from ensuring the roof and windows are in good condition and the guttering is intact to replacing cracked driveway tiles or simply painting your front door. Making necessary fixes throughout the house and ensuring that everything is clean, clear and smelling great is an easy way to make a property instantly more appealing. This includes the small DIY tasks you may have been putting off; failing to fix leaking taps, broken toilet seats and squeaky floorboards could make the difference between a yes and a no. If you are considering structural changes, reworking the existing floor plan in favour of open plan living will increase both the value of the property and how the space works to suit your needs. Historically, Victorian terraced houses were utilitarian in nature. A hallway led to a front living room and back reception room, then a small kitchen with an adjoining bathroom. This layout resulted in cramped, dark spaces, unlike the light-filled, airy rooms preferred today. 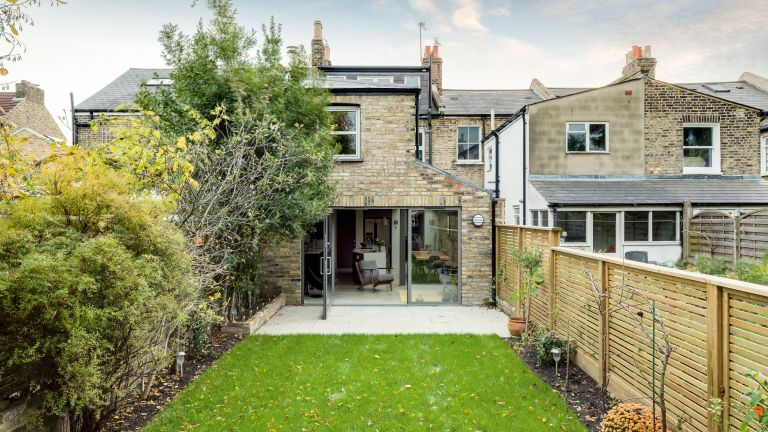 Take a look at our amazing Victorian terrace transformations to get an idea of what's possible. The owners of this Victorian terrace in Hackney, London, created an open plan kitchen diner and consequently added £200,000 to the value of their home. Space often comes at a premium in a Victorian terrace. By moving the bathroom upstairs, you’ll not only make a huge difference to the desirability of the property, proving a good investment in the long term, but also leave more room downstairs for extending the kitchen. In some cases, the only option for creating an upstairs bathroom is to do so at the expense of a bedroom, which could negatively affect the property’s value. Instead, consider whether it's possible to reduce bedroom sizes or take out storage cupboards in exchange for a small upstairs bathroom. Our guide to designing a small bathroom will give you an idea of what's possible. Victorian terraces were very humbly and solidly built, with beautiful architectural details – sash windows, encaustic floor tiles, parquet flooring, cast-iron fireplaces and high ceilings being great few examples. As a general rule, we'd advise restoring as many original features as possible rather than replacing. In the case of fireplaces and radiators, consider replacing with originals which can usually be found in reclamation or salvage yards. Cornicing and ceiling roses should be replaced with like for like designs, rather than removed, then incorporated into any new extensions or reconfigured rooms, should you decide to knock through existing walls. Exposing the house’s brickwork or rejuvenating surfaces with bold colours are both simple methods to update character homes. The Victorian colour palette consisted of strong, deep, dark hues, but on-trend greys and greens work particularly well and give a modern finish. De-personalising and storing personal belongings away provides a blank canvas that allows potential buyers to imagine themselves living there and helps those viewing the property to see beyond your items and focus on the property’s space and structure. Giving your walls a fresh coat of paint, preferably in a neutral shade, will make your home feel brighter and cleaner and, again, allow potential buyers to envisage what they could do in the property to make it their own. Looking for more Victorian terrace inspiration?